Ryan I wrote it in the 285 article. 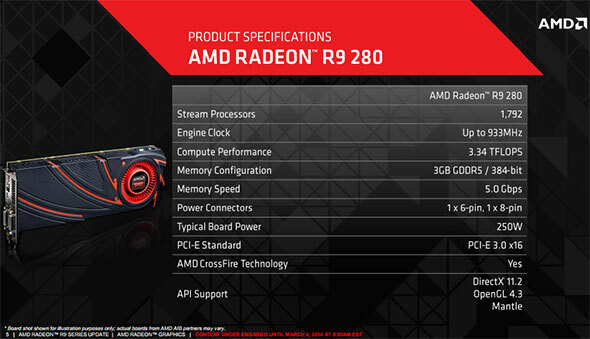 Have you contacted AMD about this or checked the specs for the older cards? That 250Watts for the 280 was correct. That 200Watts correction was wrong. Your conclusion about going down only by 10Watts with 285 is wrong. I think in the podcast I mentioned that the 9590 @ 5.0 GHz didn't hit more than 45C on the LCS that was installed on it. Yeah, they don't run amazingly hot, but they do pull some power! Phenom IIs aren't much different either; I've got a 1100t at 1.6v peaking at 45 degrees with custom water. It's probably pulling over 300w, though. ryan, aparently those chip's will go as high as you have got if you have got a really good one... i dont know but thats whats going around. Bah, all this talk about upgrading to X99 and the Haswell-E CPU's... Too much expense! How about 80.00 dollah! !